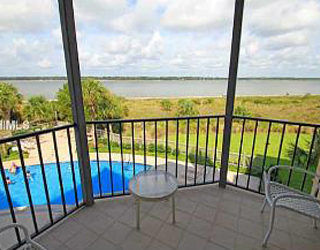 Please send me more information on Windmill Harbour at, Hilton Head Island Thank you. Windmill Harbour exhibits a true Southern style. With many residences reminiscent of historical Charleston, the designs include light, colorful stucco exteriors, brick accents, black wrought iron trim, porches, shutters and grand staircases. This relatively small seaside community makes great use of space by featuring homes built up two, three and sometimes four stories, all connected by sidewalks with lampposts and a sense of neighborhood charm. 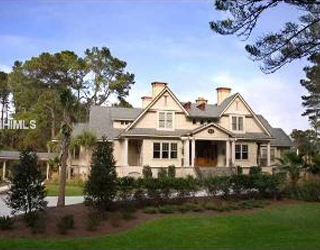 Sizes and prices of homes vary in Windmill Harbour from elaborate and ornate to Lowcountry cottage style. Each home design must adhere to relatively stringent community architectural guidelines. The Property Owners Association levies annual owner fees. Certain areas within the community have additional separate fees. Membership in the prestigious South Carolina Yacht Club is optional. Windmill Harbour’s marina, situated on the northwest coast of Hilton Head at mile marker 558, 500 yards south of channel marker 27, and ½ mile north of channel marker 29 in the Calibogue Sound, is reportedly one of only three private locked harbours on the east coast. The 15.5 acre harbour offers 258 boat slips, many for lease or sale. Transient dockage is also available. The harbour offers a safe, tide free haven, protected by a lock system directly accessible from the Intracoastal Waterway. The Windmill Harbour Marina lock is 75 feet long by 19 feet wide. Windmill Harbour, through the South Carolina Yacht Club, also boasts an active yachting and instructional and competitive sailing club. With eight Har-tru courts, a stadium court, pro shop and full-time staff, the Windmill Harbour neighborhood has an active competitive, recreational and instructional tennis community. The large pool and adjacent fitness center are also popular with property owners. The South Carolina Yacht Club is a private, yachting, social and tennis club located within the gates of Windmill Harbour. Designed to provide a casually elegant experience with ambience, activities and fine culinary experiences, the South Carolina Yacht Club appeals to members from the Lowcounty, across the United States, and around the world. Windmill Harbour began in 1981 as a joint effort between Sea Pines founder Charles Fraser, Andres Deutsch, and J.R. Richardson, who jointly engaged the Sea Pines Company to serve as the development arm of their partnership. In the mid 1980's, Mr. Fraser chose to sell the Sea Pines Company, and as Windmill Harbour was not part of that sale, Deutsch and Richardson assumed responsibility for the further development of the project. Coincident with the marina's development, the South Carolina Department of Transportation (SCDOT) required massive amounts of fill to build the abutments for the new bridge being constructed adjacent to Windmill Harbour. In return for the dirt, SCDOT excavated the harbour to the necessary design specifications. The lock was constructed to create a protected harbour from the weather and the changing tides. It was only the second lock existing on the eastern seaboard at the time. The founders designed a mix of single-family homes, townhomes and condominiums in a traditional southern style, similar to residences found in Charleston. As Windmill Harbour began to take shape, more and more homes were built in that style. This led to the evolution of the Charleston Lowcountry look one sees in Windmill Harbour today. How many active real estate properties are currently listed for sale in Windmill Harbour , Hilton Head Island? Currently there are 62 listed for sale. Are there any foreclosures currently for sale in Windmill Harbour , Hilton Head Island? No, currently there are no active listings in Windmill Harbour with a foreclosure status. 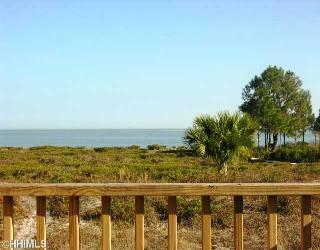 Are there any short sales currently for sale in Windmill Harbour, Hilton Head Island? No, currently there are no active listings in Windmill Harbour with a short sales status. What is the price range and average price for residential homes in Windmill Harbour ? The price range of the 25 listed homes for sale in Windmill Harbour is between 540K and 2,100K. The average price is 1,053K. Click here to view all residential home listings in Windmill Harbour. What is the price range and average price for residential condos and villas in Windmill Harbour ? The price range of the 6 listed condos and villas for sale in Windmill Harbour is between 270K and 459K. The average price is 330K. Click here to view all residential condos and villas listings in Windmill Harbour. What is the price range and average price for residential land and lots in Windmill Harbour ? The price range of the 31 listed land and lots for sale in Windmill Harbour is between 70K and 599K. The average price is 267K. Click here to view all residential land and lots listings in Windmill Harbour. What amenities a buyer should expect to find in Windmill Harbour ? What kind of views a buyer should expect to find in Windmill Harbour ? Windmill Harbour is a vibrant, 172-acre, private residential community reserved for 500 residences. Located on Hilton Head Island’s north end, close to the mainland bridge and adjacent to the Intracoastal Waterway, the community offers gorgeous views of the Intracoastal waterway and saltwater marshes. The primary focal point of Windmill Harbour is a 15-acre inland harbour which provides more than 75 percent of its property owners breathtaking waterviews and easy access to the sound and sea beyond. Windmill Harbour is also the home of the South Carolina Yacht Club, a 250-slip marina and lock system and an active tennis community.